Chesterfield VA Roofing specializes in roof repair and installation of residential, home, business, church and commercial roofs in Chesterfield, VA including the surrounding counties of Chester, Woodlake, Midlothian, Colonial Heights, Bon Air, Brandermill, Hopewell and beyond. We have served clients in VA for 3 generations so we understand what challenges our home and business roofs face in this varied and unpredictable climate- our roofs must withstand heavy rains, high winds, lots of sun, snow and ice. We install, replace and repair the following types of roofing: asphalt shingles, wood tile, slate shingle, metal/tin, tar, plastic polymer and clay tile. ​Chesterfield VA Roofing is a family business that’s been around 3 generations and is committed to providing affordable quality repairs and installations for most types of roofs in our home county of Chesterfield VA and surrounding communities. We are licensed, bonded and insured in the state of VA. Licensing requires formal training or years of job experience. Bonding requires our roofing company keep money with a retainer in case a court of law orders damages due to settle a lawsuit. Insured employees ensure that when a worker is injured on the job they have to apply to the employer for compensation- not the homeowner’s policy. The Roofing crews are trained on all styles of roofs, and understand that we expect professional conduct. The owner personally supervises the crews to ensure that all client expectations are met and hopefully exceeded. Our roofers are excellent workers but sometimes problems arise that requires an experienced supervisor. Random drug testing is mandatory for all employees. ​ Asphalt roof shingles will be checked for curling, broken, missing, and missing ceramic granules (which appear in the downspouts and surrounding ground near the home). Ceramic granules cover the top of the asphalt shingle to repel minor collisions with blowing debris and damage caused by the sun’s UV rays and passing seasons. The exterior condition of the fascia, gutters, downspouts, flashings, roof valleys, and vents is noted. 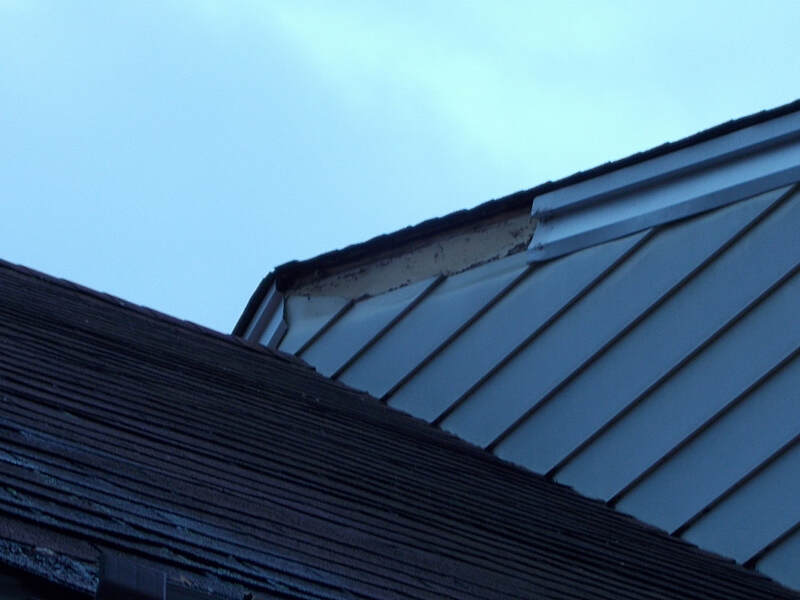 If the roof fault lies out of sight of the client, pictures will be taken by the inspector to aid in the discussion of problems to be addressed. ​ Evidence of interior ceiling cracks and leaks- indicating a roof leak. ​Other information is gathered, including: age of roof, recent repairs, and future plans for the property. ​Please allow us a day or two to process all gathered information, and then we’ll deliver by hand or email (your preference) the written assessment and estimate of repairs or replacement. ​ We operate under the premise of repair when possible, and offer affordable options when replacement is advised. You will be given the written appraisal and encouraged to ask questions that may arise, but other than that we will not hound you. Within the appraisal, we will offer a prediction of approximate life expectancy of your roof before repair and after. Chesterfield VA Roofing will keep to the agreed upon schedule. You are welcome to inspect the materials brought to the job site to make sure they are what you ordered. The Manufactures for roofing supplies we use are all well known for quality and warranties on their products. We encourage you to contact our insurance agency to validate our policies. Many out of town companies, chasing storm damage, don’t carry insurance for temporary employees. This could be very costly to a property owner in case of their injury. Keeping clients informed displays our respect, generates goodwill, and takes little effort. Roof Leaks Repaired- Roof Leaks are the one failure that grabs attention because people know moisture damage leads to all sorts of bad things, such as wood rot, electrical shorts, and ruined carpet. However, sometimes the worse leaks are the ones you don’t know about until one or more of the family members gets sick from the mold growing around the roof leak that lies hidden. You can play it safe without any monetary outlay by taking advantage of Chesterfield VA Roofing's free no commitments roof assessments. Once you contact us at (804) 835-6142 we will respond quickly and schedule, at your convenience, a time to visit the property to meet and discuss your roofing needs. We will inspect the problem roof to discover the absolutes that need to be fixed and discuss options and possible upgrades you’ve expressed an interest in. Within 48 hours, we will be able to give you a written cost estimate describing what will be done, what materials will be used and how long it will take. Aging Roof Replacement- Most experts agree that a typical roof will last 20 to 25 years. Thus, if your roof is beyond those years, it is time to get a roof assessment. Chesterfield VA Roofing will gladly inspect the health of your home’s aging roof, and give some idea of further life expectancy. When leaks appear during mild storms or observations indicate the roof is worn out (shingles missing, broken, curling, or heavy with mold and mildew), our written estimates will detail affordable options for replacement along with any costs for upgrade you might like to consider. Some homeowners find the huge amount of options concerning shingle styles and color overwhelming- making it very difficult to determine the right choice for their style of home. They basically would like the selections picked out that will enhance their home’s curb appeal and lend a boost to resale value. We offer help by a consultation with a Designer, who focuses in architectural style, that can narrow your choices of roof style and color to those options that will be visually stunning. The goal is choosing a style of roof that will complement its surroundings rather than become an ugly distraction. After an intense storm has passed through Chesterfield County and surrounding communities, we maintain an emergency response team available 24 hours 7 days a week till the affected communities' needs for roof damage repair have been met. We have experience working with insurance agents and adjusters investigating storm damage roof claims. Exact and thorough repair estimates are provided promptly to the insurance company to aid in a quick review and settlement of the damage claim to your roof. Additionally, as soon as safely able, we’ll send an emergency response team to place a temporary repair until we can apply a permanent repair for our clients. Best advice for the property owner that needs a roof repair after a storm- call Chesterfield Roofing as soon as possible as repairs will be handled on a first come first served basis. ​ Business, office, church, and commercial roofs are similar to residential roofs except they have a few more roof penetrations, such as venting for ovens, exhaust hoods, and air exchange systems. Depending on type of business restaurant, small grocery, or meat market they could be faced with more pest issues which will factor into specifics of the inspection. 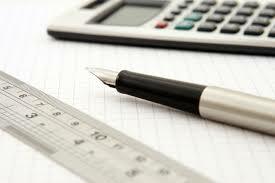 Experience is the key to successful commercial roof evaluations. Also knowing what problems to look for makes it more probable they will be discovered and affordable tested solutions can then be suggested. Poor Installation- More often than not the problems with flat roofs occur because novice or careless installation crews reduce the life expectancy of commercial flat roofs due to improper or hurried installation. For example, in a BUR (built up roofing system) adhesion of membrane to the roof top will not occur if the roof top isn’t cleaned, dried, and primed before installation. Also, a torch-applied modified bitumen can be compromised if the crews fail to relax the sheets before installing them. Blisters, leaks and wrinkles can also arise if the ambient temperature is not within the allowable span during installation. Before every flat roof application, we review common or careless installation errors with our crews, so it’s on their minds as they work. We also have crew supervisors constantly checking their progress. Punctures after Installation- Punctures to the roof's membrane during maintenance on the mechanical functions on the roof top can be caused by careless service people or even wear and tear over time. Sometimes walkways or paths are created during installation with sacrificial layers of membrane to avoid the problem of wear and tear from service repair people going to and from mechanical units. Improper Repairs- Fixing holes on Flat Roofs with improper materials happens quite often. These improper repairs are usually made by property owners themselves or employees charged with the roof's maintenance. For example, using plastic roof cement or caulking on the single ply membrane is not good because it only cracks later. Ignorant service repair people also make many faulty repairs. You, are always your best advocate when checking on the credentials of companies before signing any contract. ​No Regular Maintenance- Ponding on Flat Roofs can result from clogged drains, HVAC units without condensation drain lines, or other reasons… However, regular roof maintenance would catch these problems early on before much damage occurs, and help extend the life expectancy. When Flat Roofs are installed correctly, they have been known to last 30 years or even more. ​Leaky Roof Equals Revenue Loss- Small leaks or large leaks all have moisture damage in common and both will interrupt your operations, cause inventory and structural damage and irritate customers as they get dripped on or try to avoid catch bucket placement. Plus, if mold takes hold (mold can grow in 48 hours) it will be an uncomfortably smelly place to patronize. There is always that other business down the road with the same offers but without the hassles or smell. Take advantage of our free, no commitments roof inspection with Chesterfield Roofing and get your business roof repaired fast to limit any business downtime. ﻿If you have ANY questions about a possible new roof, roof repair, estimates, roofing material or any other question for a roofing contractor, do not hesitate to give us a call! We will be more than happy to help you with your roofing questions or roofing needs! You can reach us on the phone at 804-835-6142 or send us a Text.